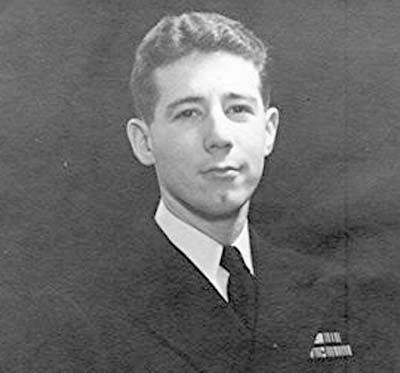 HomeDefense POW/MIA Accounting AgencyNavy Lieutenant a Hero, or Despicable Deserter? This story is about our Marines that were left behind on the Pacific Island Atoll of Tarawa during WWII in November of 1943, and about a young Navy lieutenant who was ordered to take the Marines to the beach when the assault finally was unleashed. Our investigation revealed that a non-profit organization called “History Flight” and a famous grave-detection dog, “BUSTER” took up the task to find our Marines, because the government agency tasked with that duty (Defense POW/MIA Accounting Agency), AKA: DPAA, had put finding our missing Marines on the back burner. While he may have raised awareness about the issue, Leon Cooper had little or nothing to do with finding our missing Marines. Leon Cooper may have gone back to Tarawa to deal with some demons which may have haunted him for decades, and when he saw History Flight on the island, he possibly saw an opportunity to sell his books. 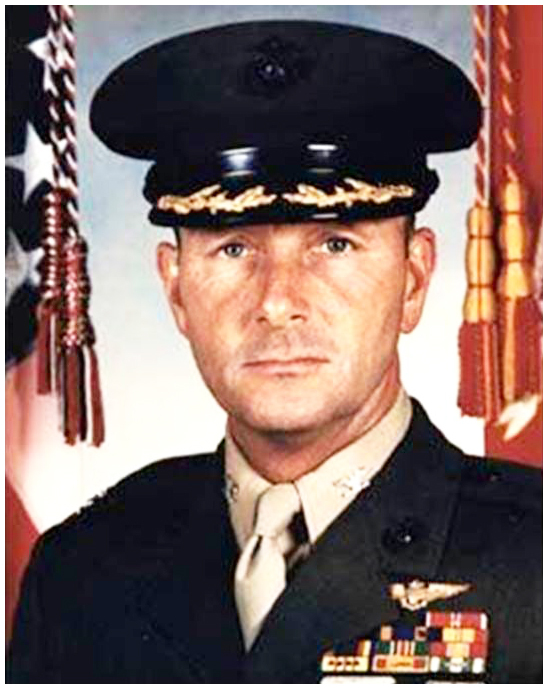 Lt. Leon Cooper was in command of 10 Higgins boats bringing the United States Marines ashore on Tarawa’s “Red Beach.” The military referred to the Higgins boat as an LCVP meaning “landing craft, vehicle, personnel.” His orders were clear, get the Marines ashore as quickly and safely as possible. The battle raged twenty-four hours a day, for 3+ days. After the fighting was over, Cooper says he returned to the island to collect the dead and wounded. The military reported that around 1,000 Marines were killed on Tarawa. It’s long been alleged the War Department downplayed the numbers of casualties on Tarawa. Hundreds of dead U. S. Marines were dumped in trenches and quickly buried. The tropical heat accelerated the decomposition rate creating a potential health problem for the Marines that did survive. Caring more about the living than the dead, the military forgot where they buried them after the war was over. 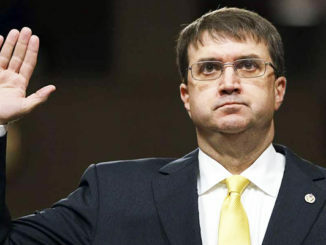 In truth, there were over 8,000 causalities on both sides and the Marines lost many more than the Pentagon admitted to. The DPAA tasked with finding our Marines on Tarawa made little or no effort over seven decades until a non-profit organization called History Flight and BUSTER discovered trenches filled with the bodies of our fallen Marines. The body of the missing Medal of Honor recipient, Alexander “Sandy” Bonnyman of Knoxville, Tennessee was discovered while his descendant Clay Bonnyman looked on. The Bonnyman family was lied to by the DOD saying that Sandy Bonnyman had been buried at sea. For seventy years, the words “buried at sea” was written on a monument in a Knoxville, TN cemetery. It was easier for the military to LIE to the Bonnyman family, rather than to admit they “misplaced” his body. 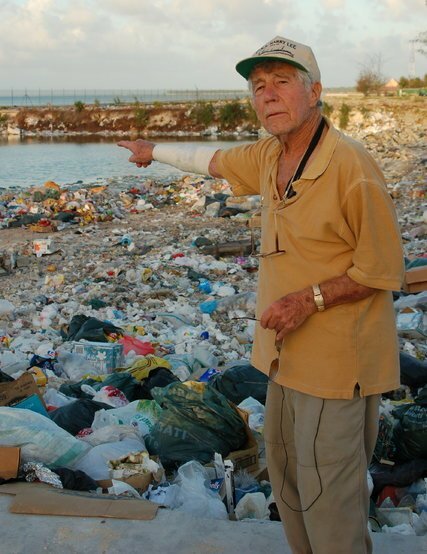 Leon Cooper on Tarawa’s “Red Beach.” Where the Marines died so valiantly, is now a trash dump. 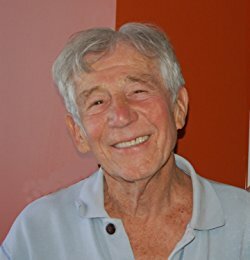 In CHAPTER NINE of his first book (90 Day Wonder), Leon Cooper described what happened on the first day of fighting on Tarawa. How much of what Cooper wrote is fact or fiction will never be known. Each LCVP carried approximately 30 Marines and Lt. Leon Cooper was in charge of ten Higgins boats filled with Marines to land on Tarawa’s “Red Beach,” now known as Betio Island in the Republic of Kirbati, AKA Tarawa. 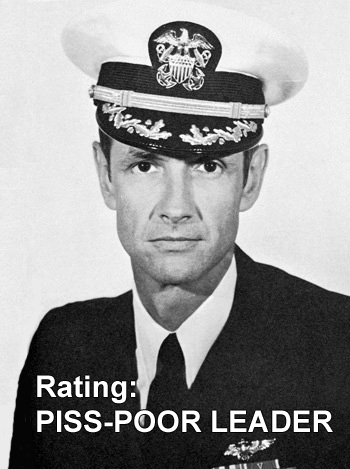 His coxswain shouted a warning to Lt. Cooper that he saw whitewater ahead, meaning the waves appeared to be breaking over a coral reef. The coxswain was strongly suggesting that he immediately alter course to avoid the shallow waters breaking over the reef. Cooper, and the hunkered-down Marines knew that if the LCVP got hung up on the reef, they would be sitting ducks for defending Japanese forces. Cooper wrote in chapter nine of his book 90-Day Wonder-Darkness Remembered, that he thought the whitewater was the splash of mortar fire and made no deviation from their course heading to the beach. The coxswain was right. The landing craft hit the coral reef and came to an abrupt halt, hopelessly snagged on the reef. The coxswain shoved it in reverse, but the LCVP could not be freed from the jagged edges of the reef, the Marines shouted at Cooper to lower the ramp so they could get the hell off that boat. Our Marines instinctively knew they were sitting ducks for the Japanese mortar and artillery units. To no one’s surprise, the LCVP took a direct mortar hit killing and wounding many aboard. Thanks primarily to his life vest, a stunned Lieutenant Cooper popped up to the surface of the water unhurt. Lt. Leon Cooper and his coxswain were taken to a hospital ship anchored offshore to be check out. The doctor ordered the coxswain to stay for observation because of a concussion he sustained. Seeing nothing wrong with Cooper, the doctor immediately ordered him back to duty. Lt. Cooper decided to ignore the doctor’s order and grabbed another coxswain ordering him to take him in a landing craft to a remote island away from the fighting. The Coxswain resisted saying that he wasn’t sure he was authorized to do that. But, Leon gave the young 18-year-old an order and the two shoved off heading for safer waters. After the fighting had ended a few days later, the same coxswain who dropped him off at his own personal island for some rest and relaxation came back to pick him up. He gave a dehydrated Lt. Cooper some water and returned him to his assigned ship. All of this information is from his own words in his book “90 Day Wonder.” Whether Leon Cooper was a deserter and coward, or someone who suffered from “shell shock” or “PTSD” is unknown. To be frankly honest, the description of what he did during the Battle of Tarawa contains more than a hint of cowardice. So, there you have it. Lt. Leon Cooper stated in his own words that ignoring the pleadings of his coxswain and the shouts from our Marines, he failed to alter course away from the whitewater breaking over the coral reef. He ends up getting hung up on the coral reef and giving the Japanese an easy target. Because of this mistake, most of the Marines in his LCVP were killed or injured when a mortar made a direct hit on the Higgins boat. Then, Lt. Cooper ordered a subordinate to take him to a quiet south-sea island, several hundred yards away from the fighting, so he could sit the battle out. Once the fighting was over, he returned to his ship and went back to work. 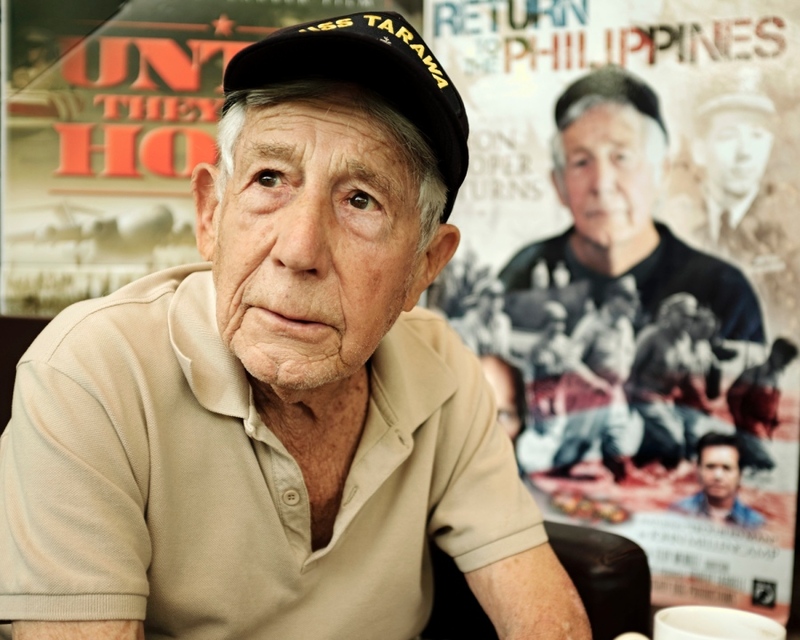 Seventy plus years later he is regarded as one of the “heroes” of the Battle of Tarawa. Amazingly, Cooper ends up claiming credit for discovering of the bones of our missing Marines. Ironically, some of those missing Marines he claimed to have found could have been the those who were killed on the very boat he was commanding. After he got his landing craft blown out from under him and a brief stop on a hospital ship, Leon Cooper hightailed it to a deserted island to wait out the battle. Adding insult to injury, Leon Cooper has been quoted as saying that he was holding the hands of dying Marines on the beach and consoling them as they slipped away. That could not be possible, because he was on a quiet island playing Robinson Crusoe. Leon Cooper died November 16, 2017 in Malibu, California at 98 years of age. 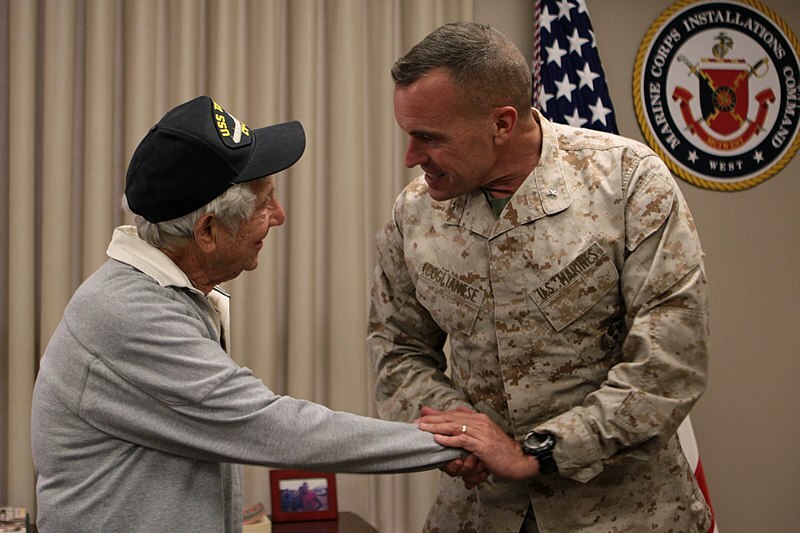 The Marine Corps presented a flag to his family for his “honorable” service to his country. One of the individuals we spoke with involved with the search for our Marines was quite candid. He said, a Peace Corps worker on Tarawa noticed the children on the island playing with some human bones and skulls. The bones turned out to be the remains of our Marines and some Japanese soldiers as well. Our Marines were not found for 72 years was because employees at DPAA preferred to party in Vietnam instead. The REAL REASON our Marines have been lost for nearly a century is because the nightlife in Vietnam was better than on Tarawa. To be quite blunt, there were no hookers on Tarawa, and the DPAA employees preferred the raucous nightlife of Vietnam instead. The old adage that we never leave a fallen comrade behind, sometimes just isn’t true. Folks, these government employees at DPAA are supposed to be working for us. Instead of getting laid, they need to do their jobs and find our missing service members. This is what happens when people are hired that can’t be fired. 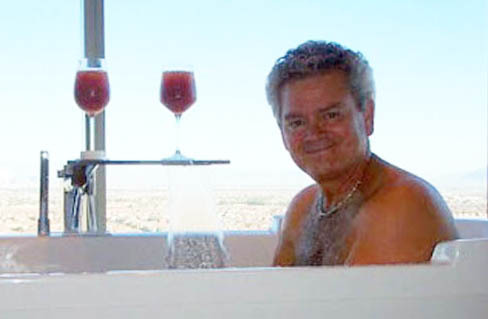 Everyone remembers the 2010 picture of Government Services Administration (GSA) employee Jeff Neely sitting in a Jacuzzi in Las Vegas as the government employees were racking up an $823,000 tab for their little nightlife convention. This is what we are getting for our tax dollars. 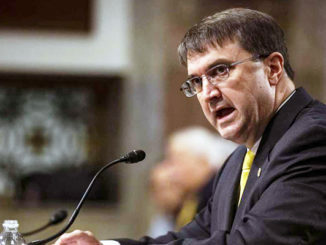 DPAA is just like the GSA in many respects, but it hasn’t hit the news media yet. IMPORTANT NOTE: Believe it or not, the ethically-challenged federal agency DPAA believes they can locate our missing service personnel without Ground Penetrating Radar (GPR) and the use of a properly trained grave-detection dogs, not a “search dog” or a “rescue dog,” but a dog specifically trained to hone-in on the volatile organic compound (VOC) gasses that rise up through the soil as a human body decays. And most importantly, dogs that are trained to detect VOC gasses that change over time when bodies have been buried in excess of 10 or 20 years. There have been major improvements in GPR technology, but this incredibly stupid federal agency (DPAA) apparently does not believe in science, or they prefer to spend their our money on plane fares to where the nightlife is exciting. It appears that lots of cheap booze and hookers must be near a battlefield to help DPAA justify travel expenditures. Not only would GPR technology help, but a properly trained grave-detection dog can alert on decaying human remains from people who died well over a hundred years ago. Now there is new technology out there which can find a deceased person by simply inserting DNA material in the machine. It has a range we are told to as far as thirty (30) miles. Has DPAA latched on to this new technology? Of course not. Getting laid on government dollars is much more important. 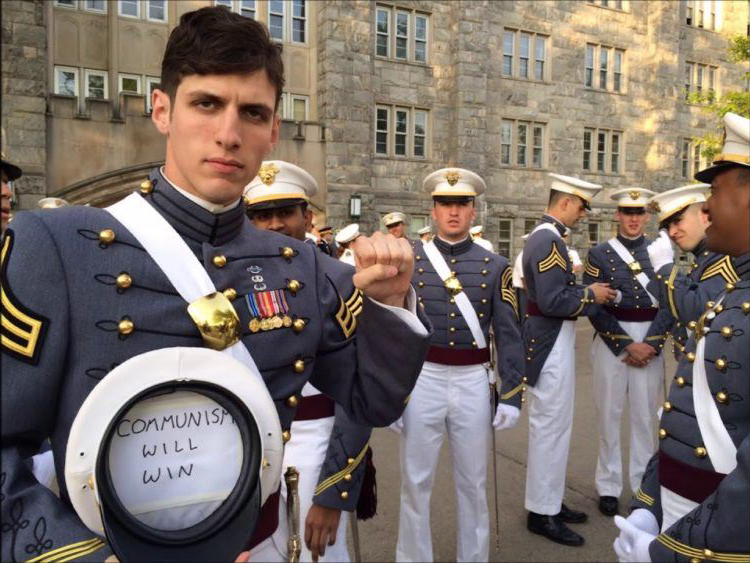 DPAA needs to chart a new course with new people who are dedicated to finding and bringing home those who have given the ultimate sacrifice on the alter of Freedom.